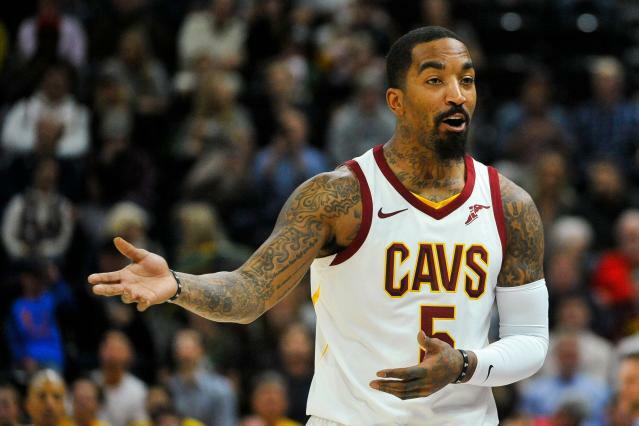 Cleveland Cavaliers shooting guard J.R. Smith notoriously hurled a bowl of chicken noodle soup at Cavs assistant coach Damon Jones in March 2018, earning him a one-game suspension for his actions. One year later, Jones is finally opening up about the incident. “It was the first bowl out of the pot, so it was hot as hell. Yes, it was hot, very hot,” Jones continued. When asked where the soup landed, Jones said “everywhere,” before detailing specific spots on his body. Jones says quite some time passed before the two spoke again, but ultimately no love was lost between Smith and his former assistant coach. Glad to see the two were able to put their differences aside.